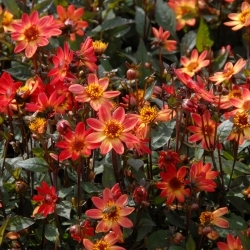 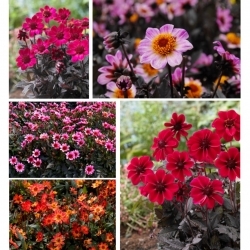 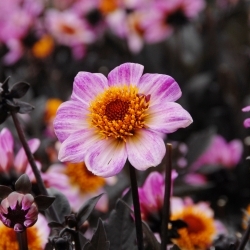 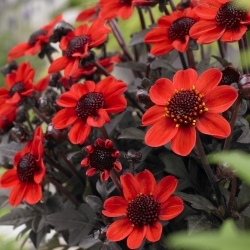 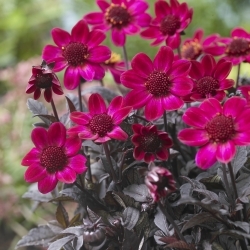 Dark Angel-collection ®: Low-remaining dahlias with very dark, delicate and deeply incised leaves. 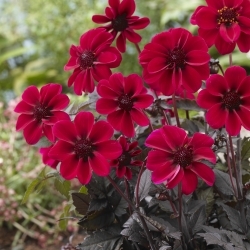 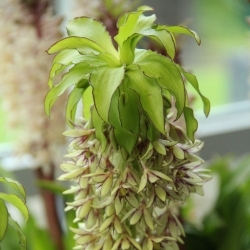 Small, single, attractive for bees and butterflies, with beautiful dark hearts. 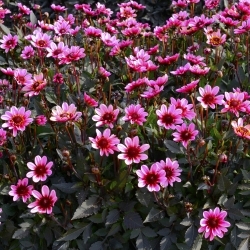 Height 25-30 cm.